It’s a comfort level we all deserve and wish to exist everywhere we turn. 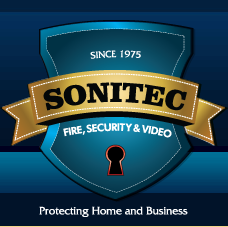 At Sonitec Security, we understand that a false sense of comfort is more dangerous than no comfort at all. We want to let you know that we will ONLY provide our best advice, products and recipe of solutions that work and deliver positive results! Sure, this is what others in our business say, but see if they can deliver when it comes down to the expertise, cutting edge solutions and proven track record. Most businesses are trying to compete for your business on price and not results. Our track record for 40 + years is unbroken. Our expert solutions have prevented saved and avoided tens of thousands of horrific memories. Our intention to continue this tradition is our resolve. Price is not always the deciding factor. More often the cost to do what is genuinely right and best could be more expensive. In reality, less can cost much more. We thank you and will continue to provide what we offer as you support us. We won’t compromise our services for lowball prices. The choice our best customers make is to choose us. Choose real security and don’t risk your family or business for what looks like a bargain.